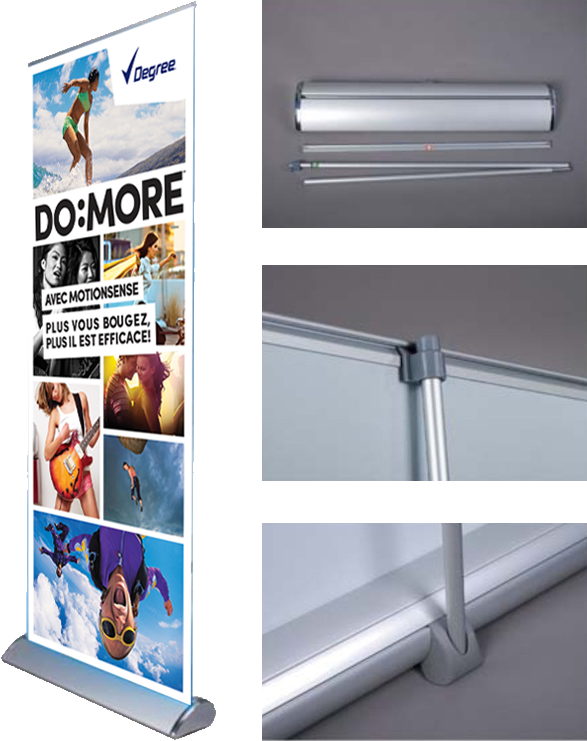 A mid-price range retractable banner stand designed with a clamp-on top profile to allow for faster and easier replacement of graphics. Sets up within seconds. At 14lbs the Water Drop roll up banner is light enough to easily carry and comes with its own durable nylon carry bag. 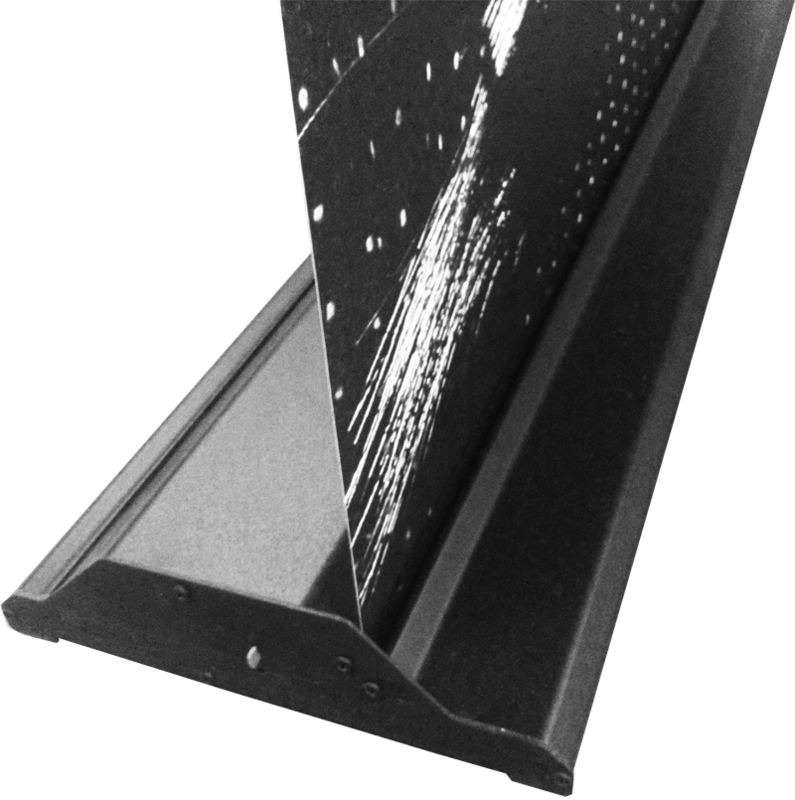 Replacement graphics can be purchased separately at any time. Screw secured clamp top profile to allow for faster and easier replacement of graphics. Sets up within seconds. 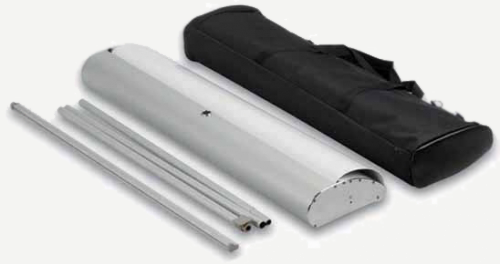 At 16lbs the Classical roll up banner is light enough to easily carry and comes with its own durable nylon carry bag. Copyright © 2019 Media Marksmen. All rights reserved.